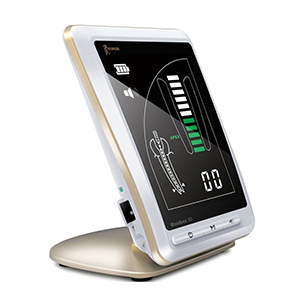 Woodpecker Woodpex 3 Gold Standard is a highly efficient electronic apex locator that helps the dentist in accurately determining the working length to carry out endodontic treatment. The use of apex locators has various advantages over the conventional methods of working length determination and locating the apical constriction. The 4th generation Woodpex 3 is the best apex locator equipped with a clear bright LCD that displays a clear image and different colours to indicate the file trajectory. 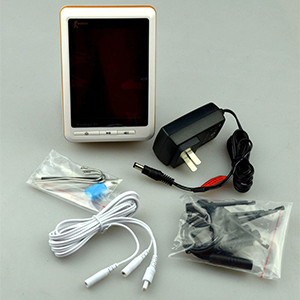 The working of the device is based on advanced multiple frequency network impedance measurement technology. Moreover, automatic calibrating ensures that the measurements are accurate. The apex locator parts are autoclavable, thereby making it possible to reduce the risk of cross infection. The rechargeable battery incorporated in the device enhances ease of use and eliminates the need for replacement of the battery repeatedly. 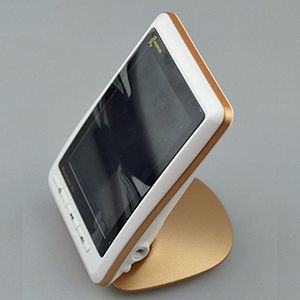 This endodontic equipment’s display can be folded to facilitate better viewing.